The Hanoi Open University held a ceremony on April 25 to inaugurate the project ‘Infrastructure investment and implementation of e-learning training method’ funded by the Republic of Korea (RoK). 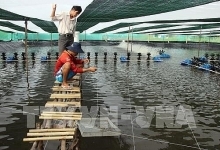 The project received US$3 million of the official development assistance (ODA) from the Korea International Co-operation Agency (KOICA) and VND13 billion under Vietnam’s reciprocal capital. Facilities built under the project include seven servers and auxiliary equipment, eight multi-functional computer classrooms in seven localities, two rooms developing the system and contents and three studios. 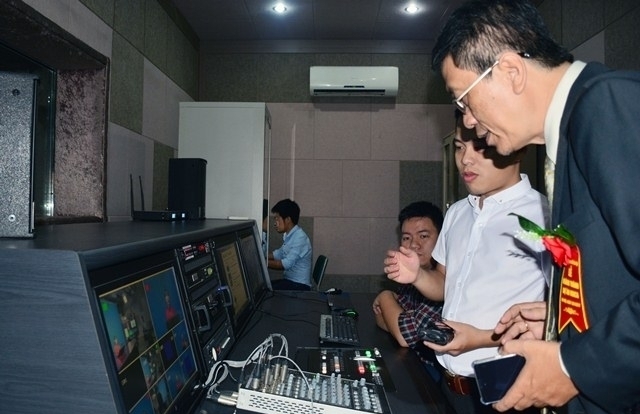 According to the University’s Director, Dr. Truong Tien Tung, the project aims to create a premise for the University to have the first Cyber University in Vietnam as well as become the leading training facility in the field of E-Learning by 2020. 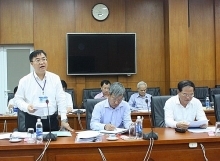 Thanks to support from the RoK Government, the Hanoi Open University has effectively deployed the project’s items including infrastructure, training management software, and human resources training to develop e-learning curriculums and contents. Speaking at the inauguration ceremony, Consul General of Republic of Korea's Embassy to Vietnam Park Sang-sik, said that the project has significantly contributed to improving the quality of e-Learning training system at the University as well as distance learning in Vietnam. 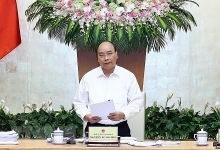 With the aim of building a Cyber University, the project is expected to foster many talents for Vietnam as well as develop high quality e-Learning technology and online learning materials, he added.